Considered the historic home of horseracing, the Rowley Mile is part of the famous Newmarket Racecourse and one of the busiest racing venues in the UK. 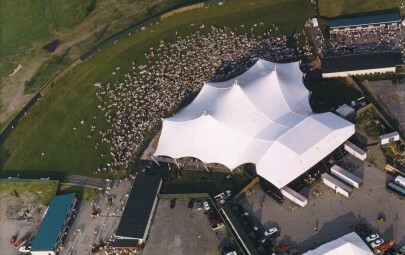 Redeveloped in 2014, the Jockey Club were keen to expand the usable space on the site and provide additional all-weather entertaining space for the race-goers. 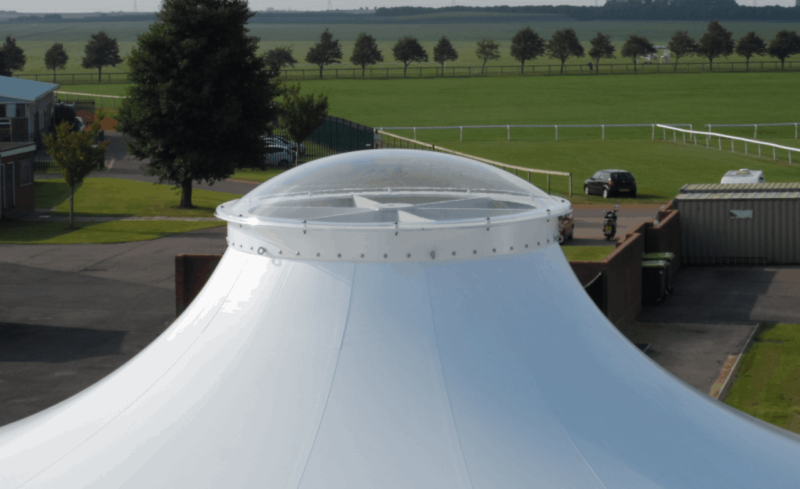 With time at a minimum and disruption to the racecourse timetable not an option, a tensile fabric canopy seemed the perfect solution to create a high impact roof covers that could be built fast. 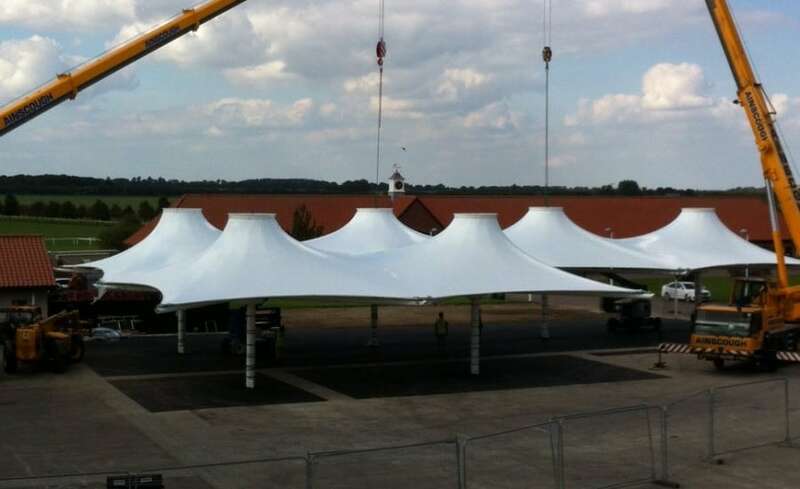 Having worked with Architen Landrell in the past at Chester, York and Market Rasen Racecourses, Architen Landrell was commissioned to design, engineer, manufacture and install the supporting steelwork and the 6 conic fabric membrane. 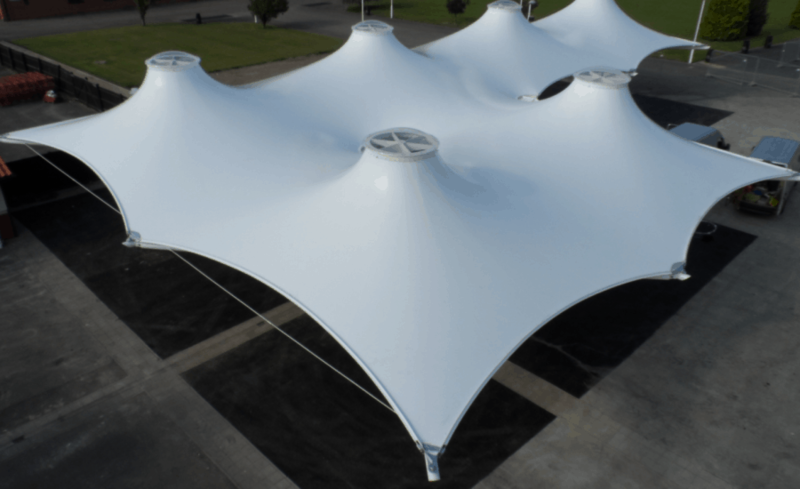 Working alongside Leslie Clark Construction Consultants with a design by Roberts Limbrick Architects, we developed their design for a 6 conic structure to form an achievable, affordable, practical tensile fabric canopy which complements the surrounding structures. With racegoers using the space during inclement weather, it was critical that some form of drainage was integrated into the structure. Therefore we incorporated rainwater diverts and hoppers to the low points to allow water to be channelled down the arms and masts and syphoned off underground. 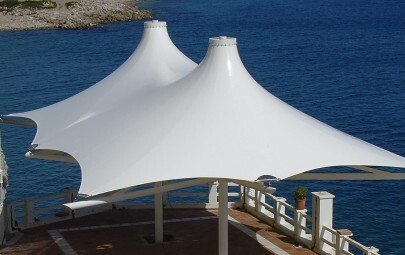 The structure was manufactured in Nano Type III PVC Polyester, chosen not only for its excellent strength, flexibility and translucency but also for its impressive self-cleaning properties and design life of 20 years. 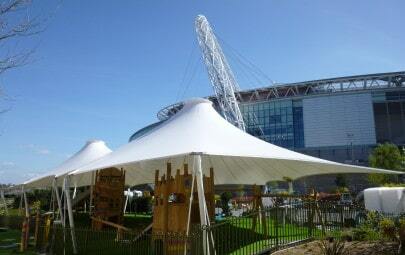 Want to see the Rowely Mile structure being installed? Take a look here!